Seasons change and with them, so goes the condition of my hair. 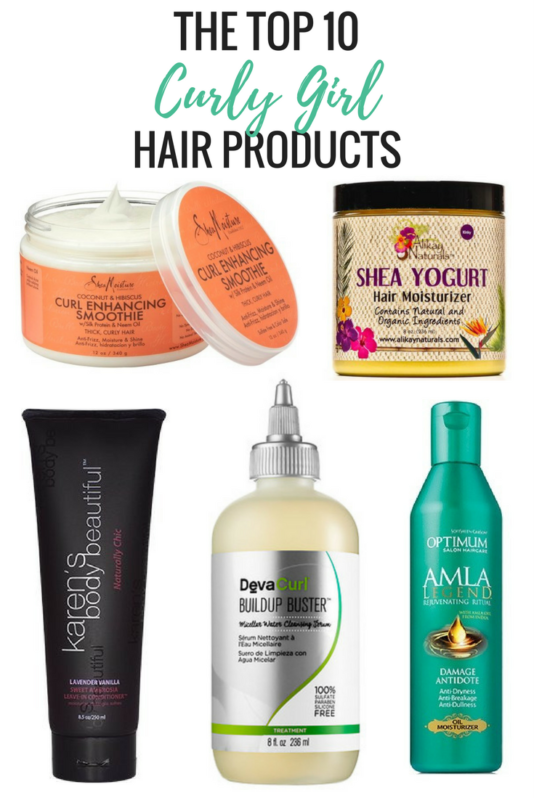 If you’re a naturally curly girl like me, you know the struggle of maintaining strong, beautiful hair year round and you could probably use a few suggestions for your arsenal of go-to hair care products that really work. 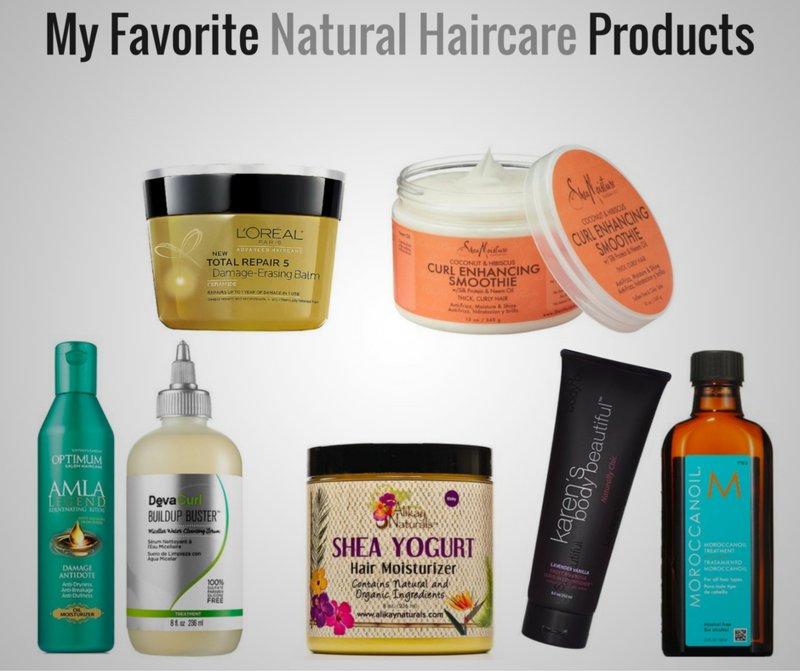 Today, I’m sharing my top 10 natural hair care products and I hope you find a few to add to your stash. First, let me say that I am not a Curl Snob. * I enjoy changing my hairstyles from my natural curl pattern to manipulated curls/twists to stick straight strands and back again. As such, I harbor a whole bunch of pomades, heat protectors, moisturizers and oils to give me the look I want without doing permanent damage to my hair. I’ll be sharing my tips on how to protect your curls when rocking a straight look in an upcoming post, so stay tuned for that one but today, it’s on to my favorite natural hair care products. 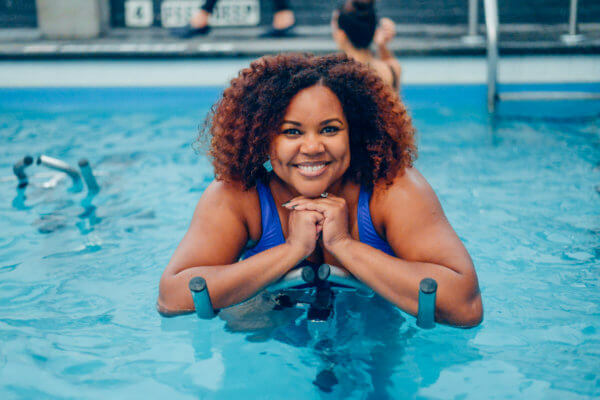 A curly moment in the pool at AquaStudio NY. Full disclosure, I rarely use shampoo on my hair as I prefer to co-wash (cleanse with conditioner) but when I do use a shampoo, it’s because I have product build-up that I’m trying to eradicate. For that I turn to the gentle but highly effective Buildup Buster by DevaCurl. It’s great for putting the bounce back into my curls without stripping them. It’s like having young curls. Yeah, young. You know: bouncy, unencumbered. Literally food for your hair. The Shea Yogurt Hair Moisturizer is made with 100% organic ingredients including raw shea butter, sweet almond oil, rice bran and rosemary. I had to stop myself from tasting this stuff when I first got it. Sounds crazy, I know, but I’m a little crazy so there’s that. It’s a heavy-duty hair moisturizer and is also good for your scalp. This ultra moisturizing cream is awesome and it always makes me think of Missy Elliot. I can’t help it! 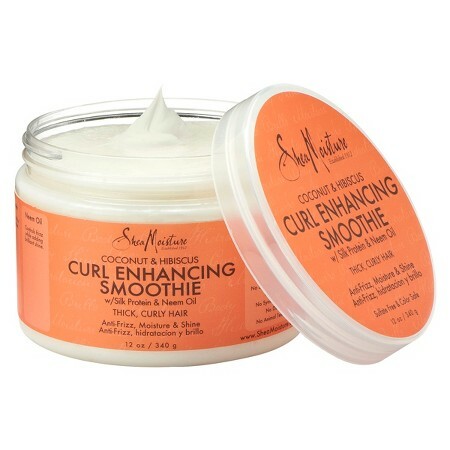 It’s great for adding moisture to 4- or 5-day-old curls. It’s thick without being weighty and it really helps smooth unruly or frizzed out curls. I use this oil moisturizer after cleansing and conditioning but before applying styling products. It penetrates and nourishes my hair, fights dryness and leaves my hair feeling super strong. I never complete a wash day without this. Never. This is a Holy Grail product for me and has been for years! It is unmatched in curl definition and the smell is simply delicious. I use it with my Mason Pearson hairbrush to define wet curls that are amazing when they dry. Get some right now! I discovered Sally Hershberger a few years ago and her products quickly became favorites. The Curvaceous Elasto-Curl Daily Treatment does a wonderful job of blocking humidity, smoothing hair and giving it a little bounce. That’s where the Elasto comes in. And it’s also a heat protector. Win, win, win! An oldie but goody, the Aveda Brilliant collection is great for thick-haired chicas like myself. 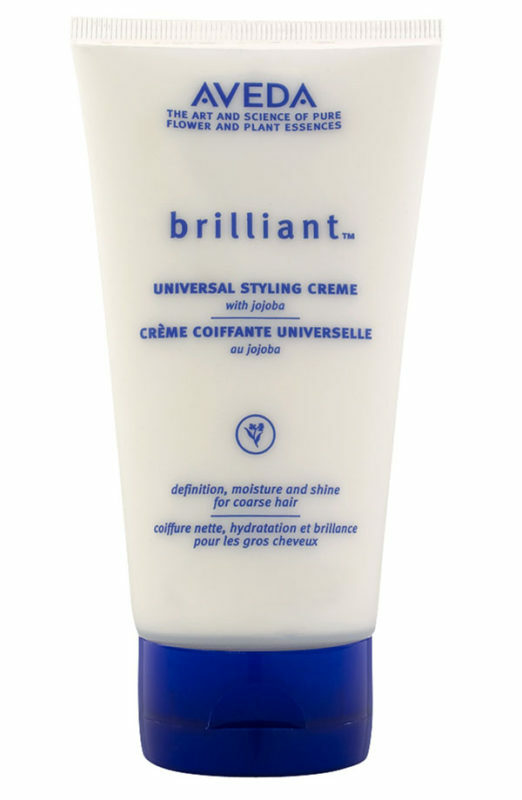 The Brilliant Universal Styling Creme gives definition, moisture and shine to textured hair and Aveda is my go-to for hair color as well. You can’t beat plant-based beauty and no one does it better than Aveda. 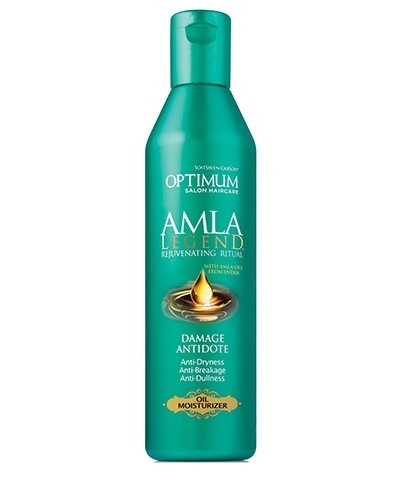 Slather your hair with this rich damage repair treatment, let it sit for a while, then rinse your hair care woes away. 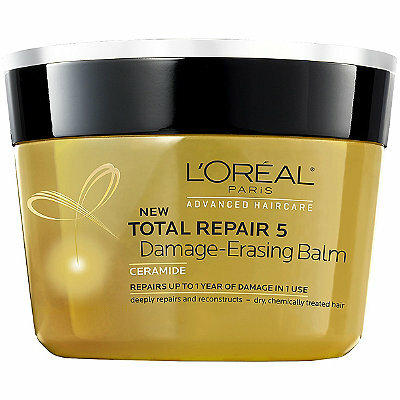 Specifically for dry or chemically treated hair, Total Repair 5 claims to repair 1 year of damage in 1 use. I can’t completely vouch for that ratio but it’s damned good. I use it about every other month. Sweet Ambrosia for sweetly soft hair. I love this leave-in and often use it as a curl refresher between washes. It’s lightly fragranced and smells really good. That earns it bonus points for sure! 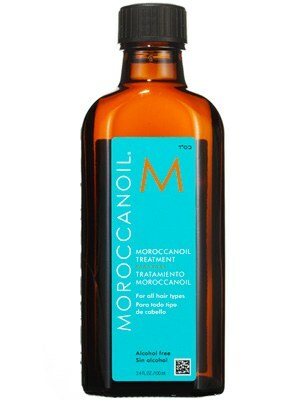 Oils is a misnomer because there’s only one hair oil for me and it’s Moroccanoil Treatment. It’s a hair care product that is a Must-Have, Holy Grail, Can’t Live Without It and I’m Not Sharing, Get Your Own. Done. For more curly girl and natural hair care products, check out my Natural Hair Care Pinterest Board that is constantly updated with new finds and old favorites! Also, drop a comment and let me know what your holy grail natural hair care products are. I’m always on the lookout for something new and awesome! Cheers to healthy hair! *A Curl Snob is a chick who recently (within the last 10 years) jumped on the natural hair trend, did a Big Chop and now looks down her nose at women who are not rocking their natural curls exclusively. To those chicks I say, ‘girl I was rocking two-strand twists and twist-outs before you could get your mama to buy you pre-sweetened cereal so don’t come to me with it.’ Carry on. Im looking forward to summer hair as I’m currently wearing box braids. I use the KBB in my in my braid cocktail. 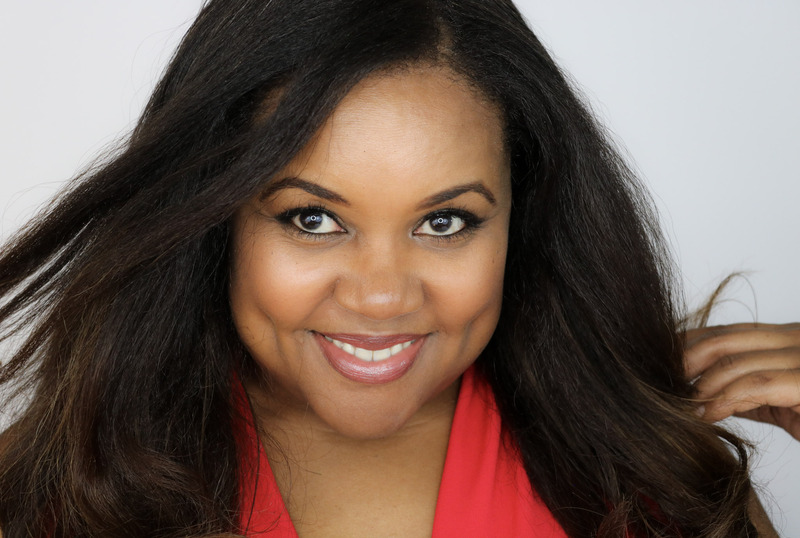 What’s your summer hair routine Kisha? That Sweet Ambrosia is LIIIFFFE! 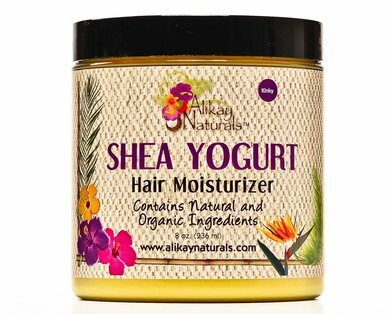 Also love the Alikay Naturals Shea Yogurt.